We were lucky to be guests to an asado (Argentine BBQ & national dish) being hosted by our friend Jorge, one of South America’s top bonsai masters. 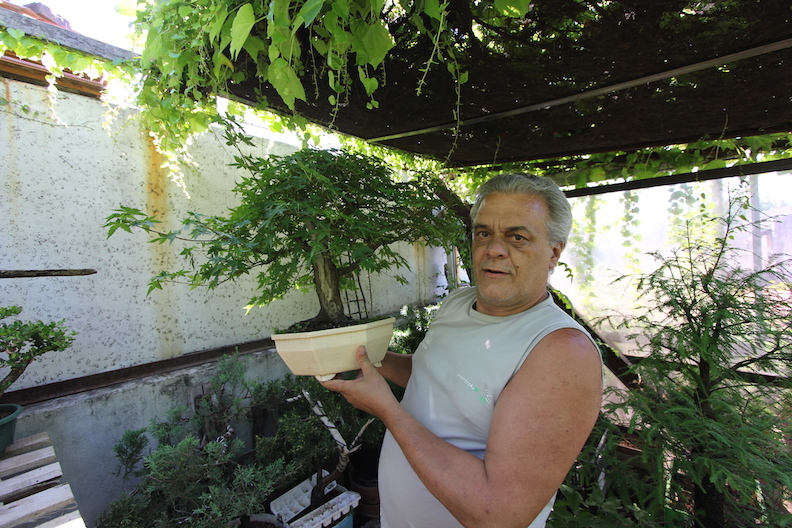 Jorge’s garden is like a bonsai forest, with a number of pint sized trees that will consume whoever enters. He walked us through the forest and showed us some prize winning bonsais, along with a bonsai he planted from a seed as a child. We met Alan (Jorge’s son) back in the states when he was traveling. Now that we are in Buenos Aires he invited us to his family home for the asado. 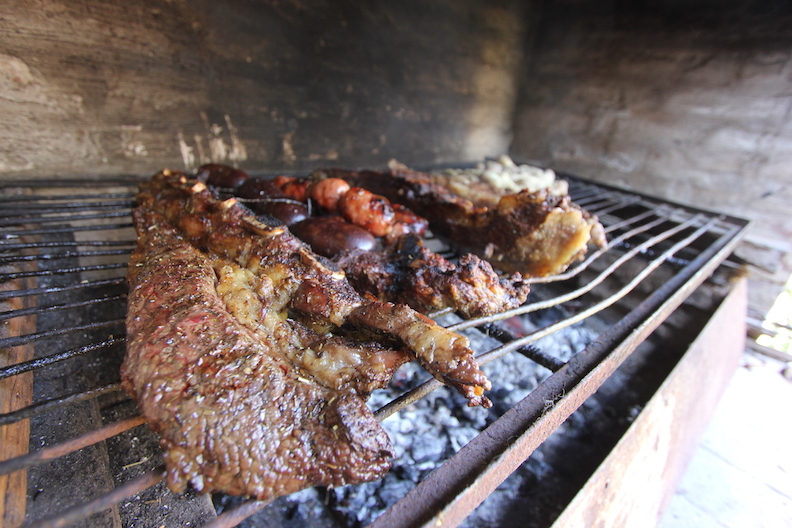 The asado included various cuts of meat, both beef and pork, as well as blood sausage, chorizo and plenty of bread and wine. We stumbled out their door as full as can be. Be careful not to step on Penelope when roaming the garden. 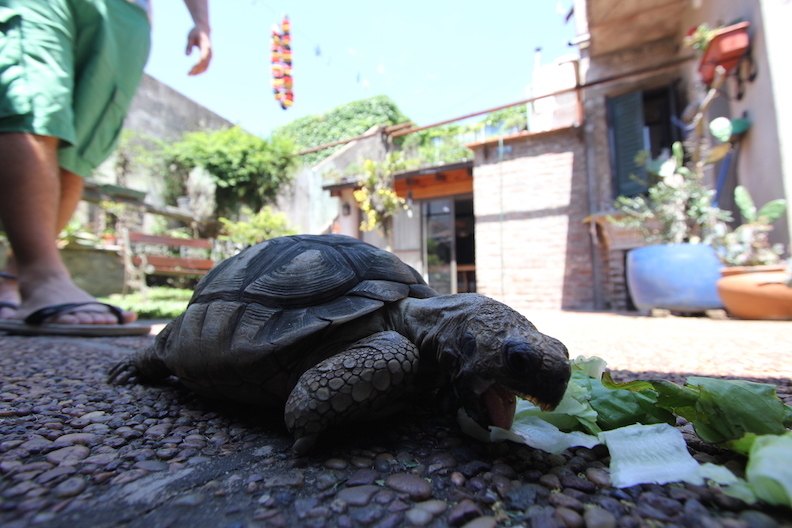 She may be a tortoise over 40 years old, but she deserves respect. I love the shot of Penelope taking a bit of food. Son unos genios!!! Amo a su perra! es tan linda y disfrutando por todos los países. Si pudiera compraria esta pick up para ir desde Buenos Aires a USA en la versión en español “SardinaTaco ” pero se necesita tanate dinero para esa aventura. Exitos y espero que la este pasando super en Buenos Aires. gracias Rodrigo , estamos teniendo un gran tiempo en tu ciudad .